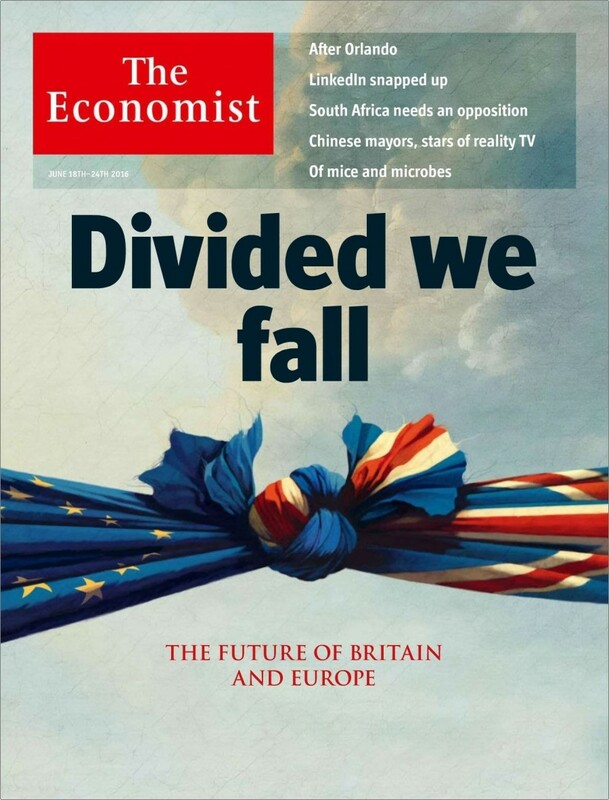 “Divided we fall” said the front page of the British newspaper, The Economist, in the days leading up the vote. The debate over the withdrawal of the United Kingdom from the European Union ended the 23 June 2016, when the British electorate voted in favour of quitting the EU. Appealing to the Article 50 of the Treaty on European Union (TEU) concerning the right of any Member State to withdraw from the Union, the wave of nationalism that hit the Continent won in one of the major Members. The move is formally scheduled on 29 March 2019 and, nowadays, what the British newspaper foresaw at the vote epoch was not so dramatically unreal. Taking aside the political and social arguments, what was accidentally released by the British government is a report which analyses the impact of Brexit through three probable scenarios. Released in January 2018, the document entitled “EU Exit Analysis – Cross Whitehall Briefing” created literally a discouragement in the country since the future economic perspectives are alarming and almost every sector would suffer. According to the analysis, the worst-case scenario presents a United Kingdom without any deal and forced therefore to implement the WTO rules, in this respect the growth would decline by 8%. A reasonable free trade agreement with the European Union will endanger the economic growth in the long-term of 5% whereas, alternatively, the best situation would record a negative impact of 2% in case the UK remains under the umbrella of European Economic Area. Other findings reveal that every sector, from the chemical to the manufacturing one, will be negatively affected; only agriculture ruled under the World Trade Organization rules would not suffer in terms of production performance. The financial centre of London could slowly crumble and every region of the country could be critically harmed. Furthermore, the report assumes that the UK will develop a strong trade partnership with the US, tearing up the trade regulations it is attempting to set with the Union for the future relationship. In this perspective, a free trade deal with the United States, as with other non-EU countries like Australia and China, would benefit a slight GDP growth. Of course, the reaction was immediate and the government rejected the report and all its predictions. The British politician and Brexit Minister Steven Baker even suspected that “there is clearly a campaign to overturn the referendum result” (http://www.bbc.com/news/uk-politics-42867668) since this publication represents a damage to the transition period and the negotiations. Meanwhile, the overseas adventures attempt to darken the turmoil at home and provide a gateway ensuring new opportunities if all the three scenarios will reveal to be more than a simple temporary draft. Indeed, in late January, Prime Minister Theresa May made her trip to China and met President Xi Jinping with the aim of intensifying the economic relations in view of a future bilateral trade agreement and boosting investments. The document “EU Exit Analysis – Cross Whitehall Briefing” arrived in concomitance with the launch of new directives for moving to the second phase of the transition. On 15 December 2017, the European Council agreed that the achievements obtained in the fields of rights of citizens, issues concerning the island of Ireland and financial settlement were sufficient to move forward to the next step. The UK is fully-fledged a third country, therefore, will no longer participate in the institutions and in the decision-making of the European Union and its agencies; some exceptions are admitted but without the voting right. Notwithstanding, the document adds: “As the United Kingdom will continue to participate in the Customs Union and the Single Market (with all four freedoms) during the transition, it will have to continue to comply with EU trade policy, to apply EU customs tariff and collect EU customs duties, and to ensure all EU checks are being performed on the border vis-à-vis other third countries.” In simple terms, the UK will no longer benefit from the right to vote and from a decisive influence in the Union decisions but must accomplish all trade and economic obligations that belonging to the EU entails. Remarking that the four freedoms of the Single Market are indivisible, the new directives of 29 January 2018 set out that the transition period will not last beyond 31 December 2020. Donald Tusk, President of the European Council, presented a draft guideline for the future relationship with the UK, proposing to keep a strong partnership and to closely cooperate in the fight against terrorism, against the security threats and in the fields of education, culture and innovation. As regards the economy, he asserted that “it should come as no surprise that the only remaining possible model is a free trade agreement”, an agreement that will cover all sectors and with zero tariffs on good. Most inconvenient of all, according to a Financial Times research, another challenge will face the UK and concerns the relations with every single state which has established a bond with Europe. Indeed, the study estimates that the country will be excluded from approximately 759 international agreements signed inside the EU framework covering different sectors as trade, financial services, transport, nuclear goods, fisheries and agriculture. 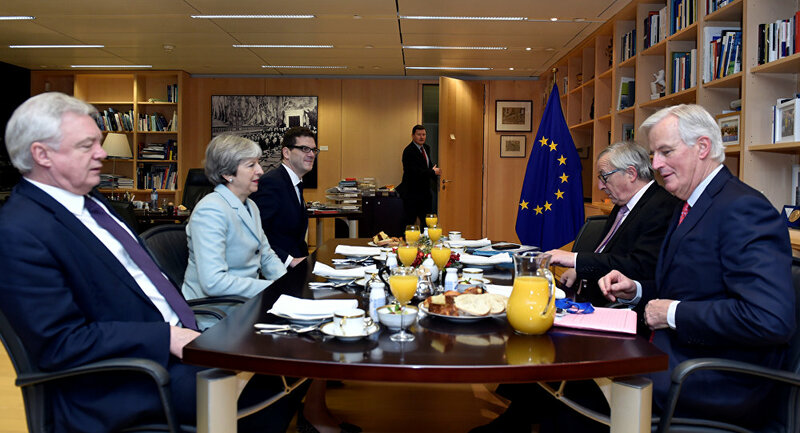 Most of them are absolutely indispensable for the survival of the UK and negotiations will take place with more than 160 countries. Among all these actors, states, international organizations, Great Britain is taking its spot at the starting line.